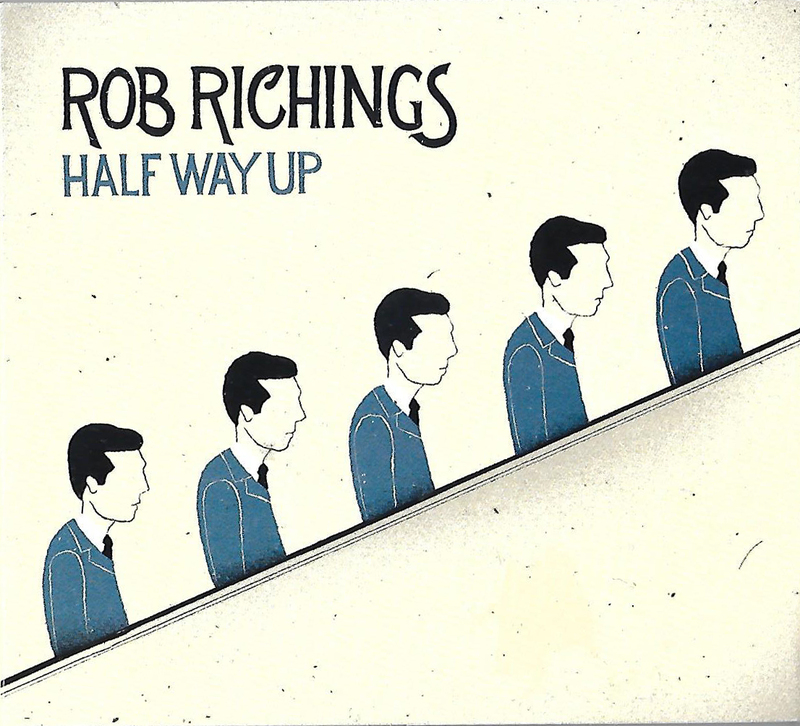 This four track EP is a delightful taster of the power of singer songwriter Rob Richings, and like any taster it whets the appetite and you are left wanting more, already anticipating a full length debut album of magical delights, which one is assured will be started once current touring commitments have been met. Opening with the title track, on a personal and totally illogical note, I prefer the title track nestled into the mix so it almost unnoticed in the track list. That said Half Way Up is a wonderful track to open the album, close the record or anywhere else. There is no doubt that it is the lyrics that are the heart and soul of the EP and the instrumentation has been crafted with care to augment the lyrics and never overwhelm, Rob is a modern day travelling minstrel who entertains. The authenticity of the words shine through there is a truth in the words that they come from his heart and personal experiences. Carnival is a track of pure beauty with a lead break of haunting strings, the power of piano and the added layer of a chorus, despite all this studio artistry it is the song and guitar that beats the Carnival spirit. Rob is back working and touring after a life changing illness and the final track of the E.P was inspired while sitting in a 17th Clandestine Church in Amsterdam, Rob found it a deeply peaceful and spiritual place, and wrote the song Lord In The Attic on the spot, a mesmerising song full of beauty like sun shining through a stain glass window. This is four gems that shine and make a musical collection all the better for having Half Way Up in the collection an E.P. short, fragrant and perfectly formed.